That’s right boys and girls! It’s October 1 and I am ready to see all things scary! Okay, maybe not scary movies, because those just aren’t my cup of tea. for this spooky time of year. That’s why I thought it would be fun to do a little bit of this! 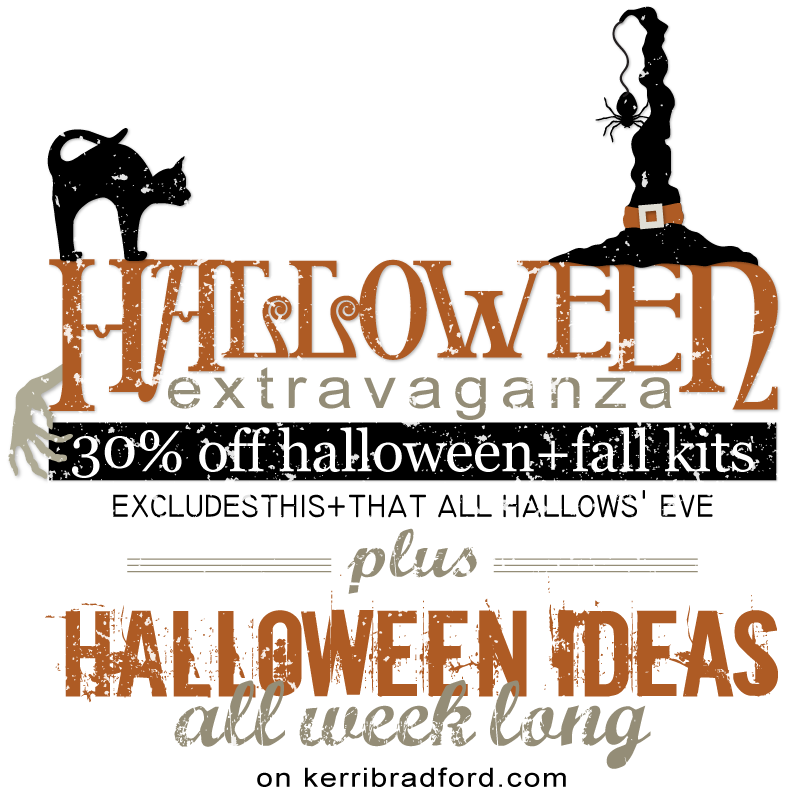 So all things Halloween and Fall–with the exception of the latest All Hallows’ Eve kits–are on sale for 30% off all week long. 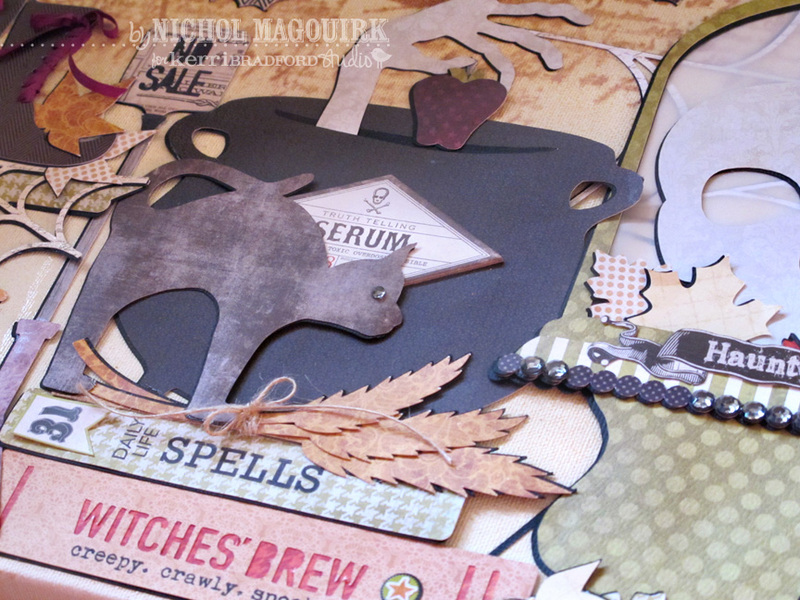 Just look for the sale tags in the store to know what fall item is on sale! 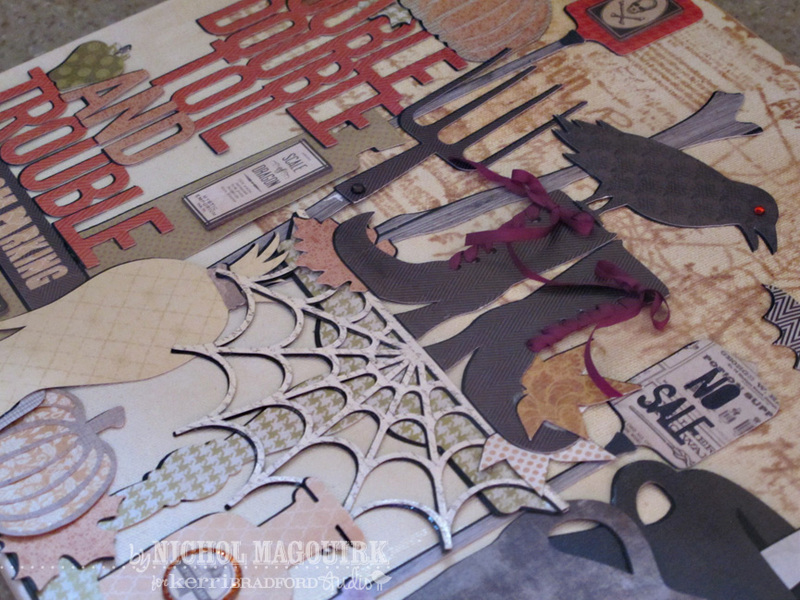 And what I’m most excited about is to see some fabulous Halloween ideas here on the blog! 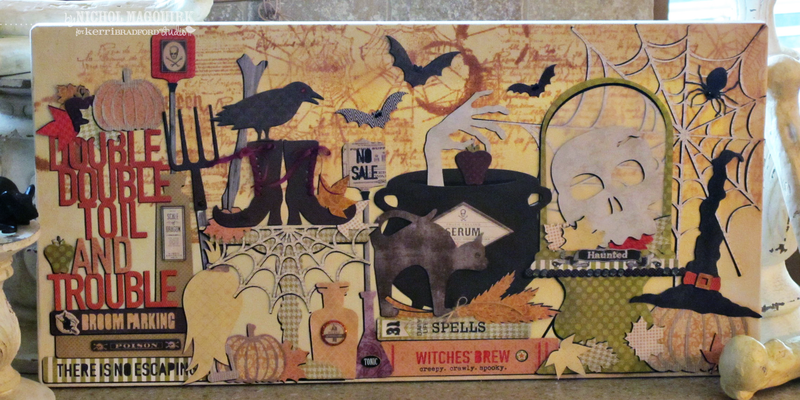 Let’s check out this canvas that the ever-so creative Miss Nichol has made for her Halloween decor! Okay. Seriously??? 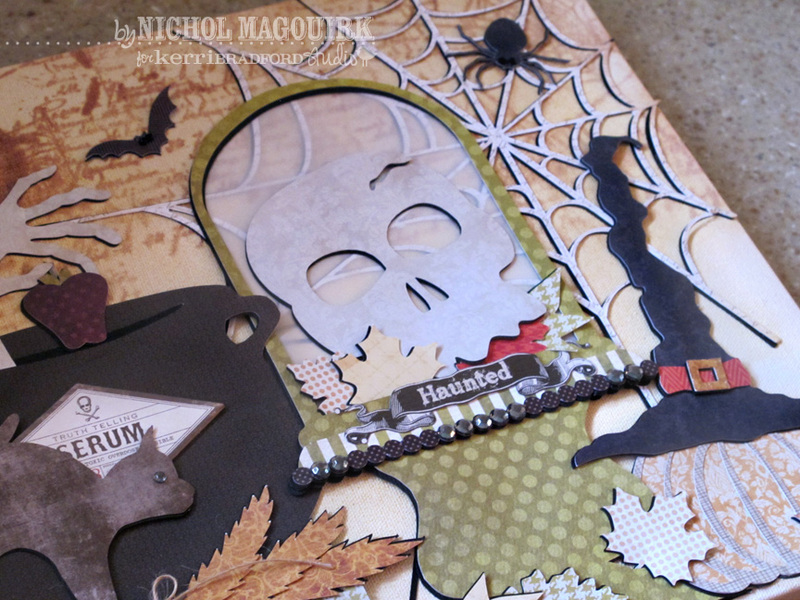 [halloween] eye candy all over the place! The hand coming out of the cauldron holding the apple? love. Pretty awesome. Yeah. 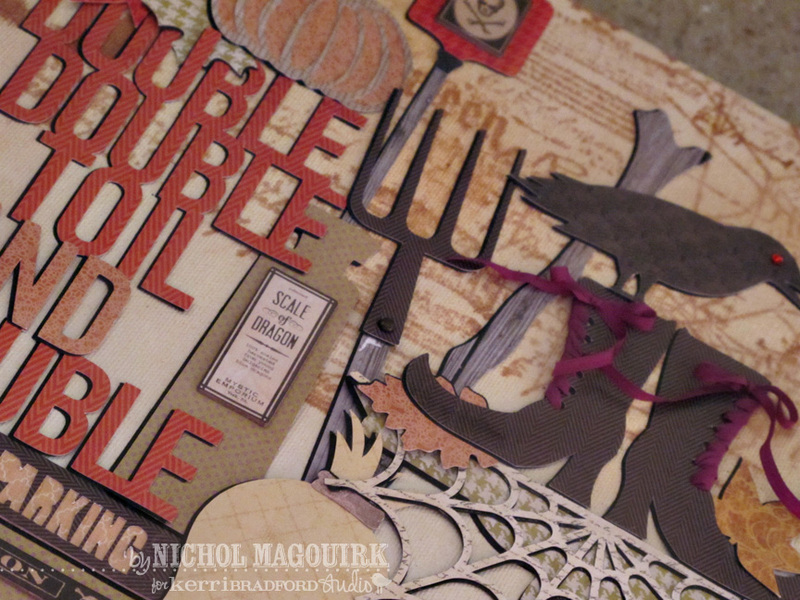 Can’t wait to share more Halloween goodness this week. Wow! Ms. Nichol has done it again! I’m always amazed at what she comes up with and this doesn’t disappoint. I bet that 24×24 canvas looks awesome up close and personal!! sorry, can’t seem to type after 5 pm – meant to say “12 x 24 canvas”. Amazing… I think our family should relocate to America for the month of October each year. Halloween and Thanksgiving look like so much fun. AMAZING! LOVE, LOVE, LOVE it!! Nichol ROCKS! No doubt about it. This is a stunning piece of art. She’s amazing.